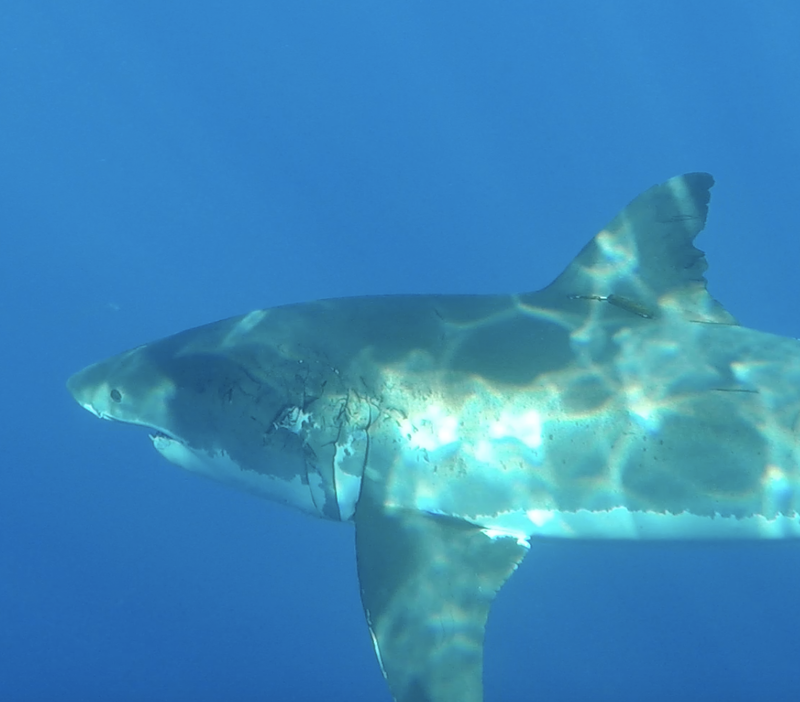 Shark Diver : Shark Diving : Swimming With Sharks: Meet "Slash Fin" a Great White Shark at Guadalupe Island. Meet "Slash Fin" a Great White Shark at Guadalupe Island. 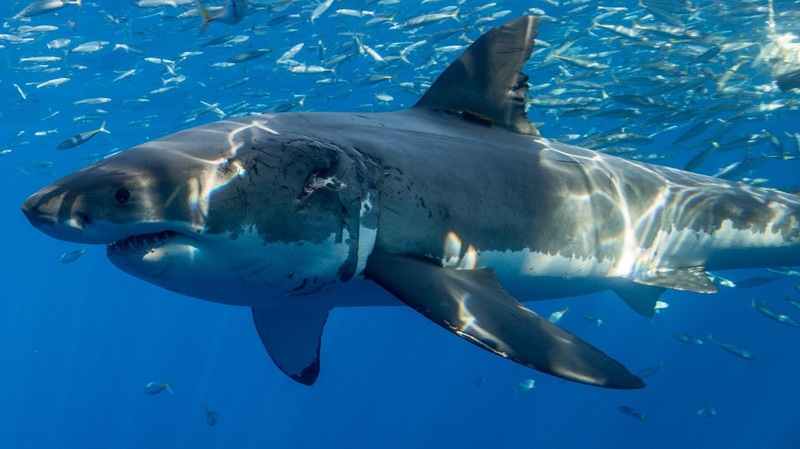 Meet "Slash Fin", #213 in our Photo ID database. She is a very active shark, swimming around normally and exhibiting all the typical white shark behaviors. 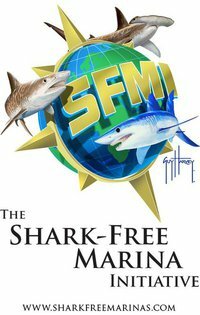 There is however something very different about this shark. Aside from a big lump on her side, she only has 3 visible gill plates on her left side. 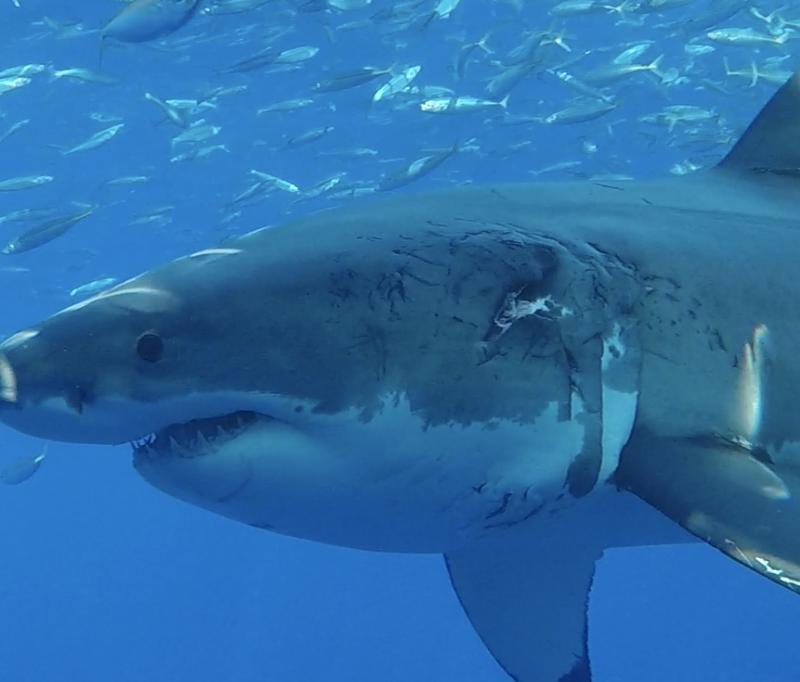 When looked at from the top, the left side of her head is pretty straight, while the right side curves out around her gills. It doesn't look like she is getting much water through her left side gills either and she seems to be breathing mainly through her right side gills. Check out the video below. 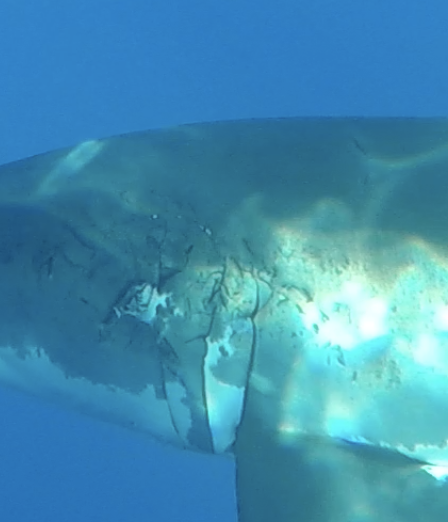 Aside from a nice bite injury she has, there are only 3 visible gill plates. When you look closely, you can see that she has 5 gill slits, but 2 of her gills are completely covered by another gill plate. The bite on her gills has nothing to do with this oddity, since she has looked this way since we first met her and the injury is new. Aside from her gills, she also has a deformed dorsal fin, with the trailing edge looking all ragged. It could be due to an injury, but I don't see an obvious signs of a trauma there. 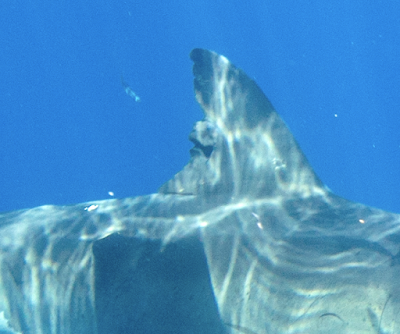 On her right side, just behind and below her dorsal fin, she has a growth that is sticking out at least 6 inches. Is it a tumor, or is something embedded in her body? Watch the video below and check out that growth for yourself. Slash fin is a subadult female and about 13' in lenght. Despite her deformities, she doesn't exhibit any signs of distress and seems to be doing well. 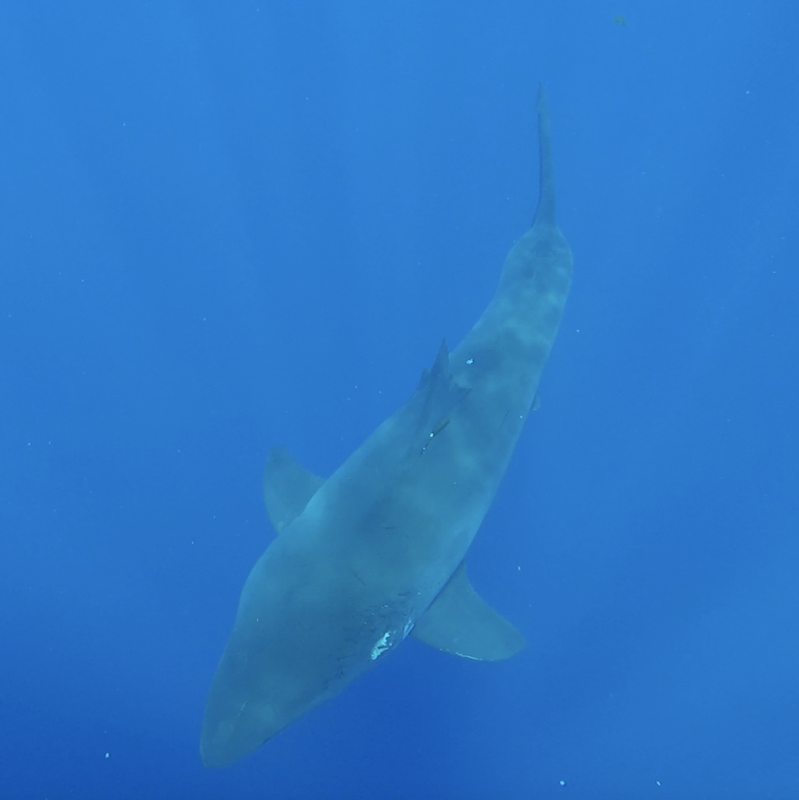 The longer I dive with these sharks, the more I'm amazed by the new things we discover and learn about them. Are her deformities genetic? Is it a birth defect? Or....? I don't know, I'm just reporting my observations. Any scientists out there want to take a look at this? 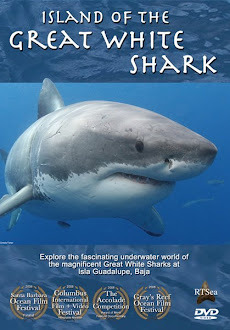 Come join us on one of our expeditions to Guadalupe Island and meet our sharks face to face.